Fully embracing the relaxing Hawaiian lifestyle, LSI Resorts at Ala Moana is one of the premier hotels in Honolulu, an address of casual sophistication. On the heels of its multi-million-dollar transformation, the LSI Resorts at Ala Moana has re-emerged with stunning rooms located in a beautiful hotel, where contemporary character and island appeal merge in alluring fashion. 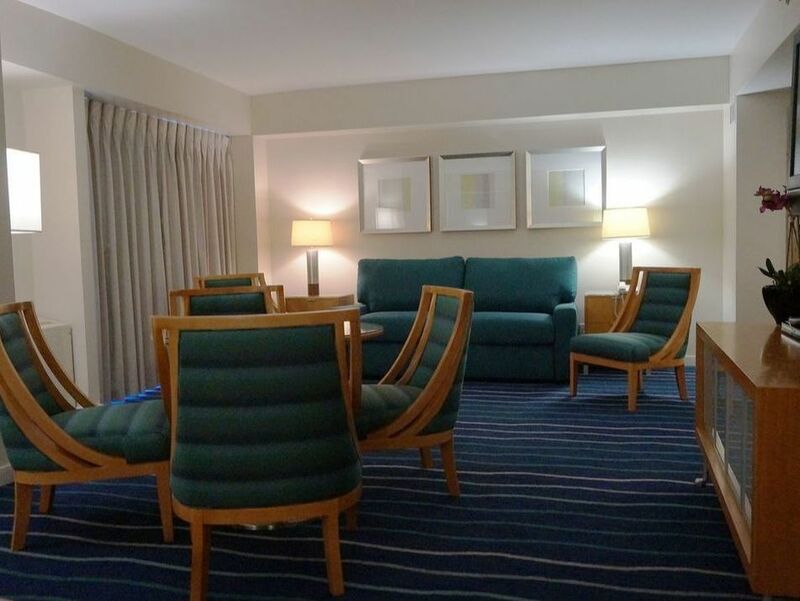 Spacious, open and bright, each guest room at LSI Resorts at Ala Moana hotel blends the cool colors of paradise with modern comfort - perfectly suited for executive trips, romantic getaways and family holidays. Mountain and ocean views of Waikiki are enhanced by splendid island sunsets and the energy of the city below. LSI at Ala Moana enjoys one of the best locations in Honolulu for those who enjoy amazing shopping, restaurants and nightlife. Be in the center of it all with LSI at Ala Moana where newly refreshed rooms featuring beautiful ocean colors will greet you after a day of shopping at the new EWA wing of Ala Moana. Guests enjoy access to the new Starbucks in the lobby, The Signature Steakhouse on the 36th floor overlooking Waikiki and the Pacific Ocean, and Plantation Café for a wonderful buffet breakfast. With all those food options guests may want a workout in the fully equipped gym or swim laps at the outdoor pool, both located on the 3rd floor of the hotel. Located in the Kona tower, these traditional rooms offer a comfortable living space that includes a small sitting area, queen bed, sliding glass door that allows for fresh tropical breezes, marble bathroom and a small kitchenette featuring a microwave, mini coffee maker with fresh Lion coffee and mini refrigerator. Located in the 36 floor Waikiki Tower, these rooms all come standard with a furnished balcony, marble bathroom and kitchenette featuring a microwave, mini refrigerator and small coffee maker with fresh Lion coffee. Rooms can feature either King Bed, Queen bed or 2 double beds, and come with either a sofa or chairs- bed requests are not guaranteed. Waikiki ROH rooms feature a variety of views from City views to Partial Ocean Views. Located in the 36 floor Waikiki Tower, these rooms all come standard with a furnished balcony, marble bathroom and kitchenette featuring a microwave, mini refrigerator and small coffee maker with fresh Lion coffee. Rooms can feature either King Bed, Queen bed or 2 double beds, and come with either a sofa or chairs- bed requests are not guaranteed. Ocean view rooms are located on the 10th floor or higher and feature partial to full Ocean View. This beautiful Junior suite features 2 furnished balconies with amazing City and Ocean Views. The suite comes with a king bed, large sitting area, marble bathroom, dining table for 4 people, oversized Kitchenette with stovetop, full refrigerator, microwave and coffee maker. ​Throughout their stay, guests of LSI Resorts at Ala Moana will savor delicious cuisine in the upscale elegance of the hotel’s restaurants and bars. From an upscale 36th floor Steakhouse offering some of the best views in Honolulu to a quick coffee and light bite at Starbucks, the hotel offers something for everyone including direct access to the dozens of restaurants at Ala Moana shopping center. Enjoy casual family dining in a bright, contemporary setting. The Signature Steakhouse located on the 36th floor with amazing city, and ocean views. Features an amazing Happy Hour at the popular bar and incredible steak and seafood in the restaurant. In order to remain one of the most highly regarded properties on the island, Ala Moana will begin some renovation work on the lobby and pool deck areas beginning later 2018 through the Fall of 2019. Once complete, Ala Moana will feel refreshed with upscale tropical décor and Aloha spirit.